Sue Owens Wright is an award-winning author of fiction and nonfiction. 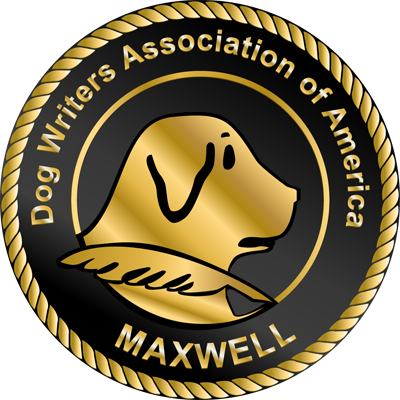 She is a twelve-time finalist for the Maxwell, awarded annually by the Dog Writers Association of America (DWAA) to the best writer on the subject of dogs. She has won the Maxwell Award three times and earned special recognition from the Humane Society of the United States for her writing. She writes the acclaimed Beanie and Cruiser Mystery Series, including Howling Bloody Murder, Sirius About Murder, Embarking On Murder, and Braced For Murder, which is recommended on the American Kennel Club’s list of Best Dog Books. Her newest novels are The Secret of Bramble Hill and Ears For Murder, the fifth mystery in the Beanie and Cruiser series, which was awarded a Maxwell in 2018 for Fiction. Her nonfiction books include What’s Your Dog’s IQ?, 150 Activities for Bored Dogs, and People’s Guide to Pets. She has been published in numerous magazines, including Dog Fancy, Mystery Scene, AKC GAZETTE, Fido Friendly, The Bark, and Animal Fair. Her work also appears in several anthologies, including Fightin’ Words—25 Years of Provocative Poetry and Prose from the Blue Collar PEN, along with Norman Mailer and other literary notables. Wright graduated from California State University and has taught elementary school, college English and adult writing courses. She did MFA studies in fiction writing at the Universities of Dublin and Galway in Ireland and University College London in England. She is a member of Mystery Writers of America, DWAA, Sisters in Crime, PEO International, Pastel Society of the West Coast, Sacramento SPCA, and Daughters of the American Revolution. For more information about the author, visit www.sueowenswright.com.